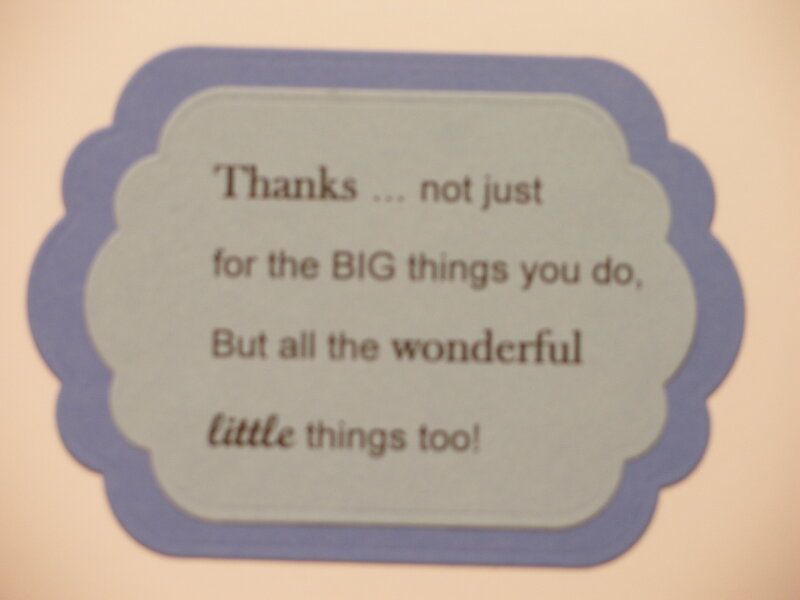 This Thanks card was stamped with a Stampin’ Up stamp. I added a ribbon & bow. I used Spellbinders die cuts. 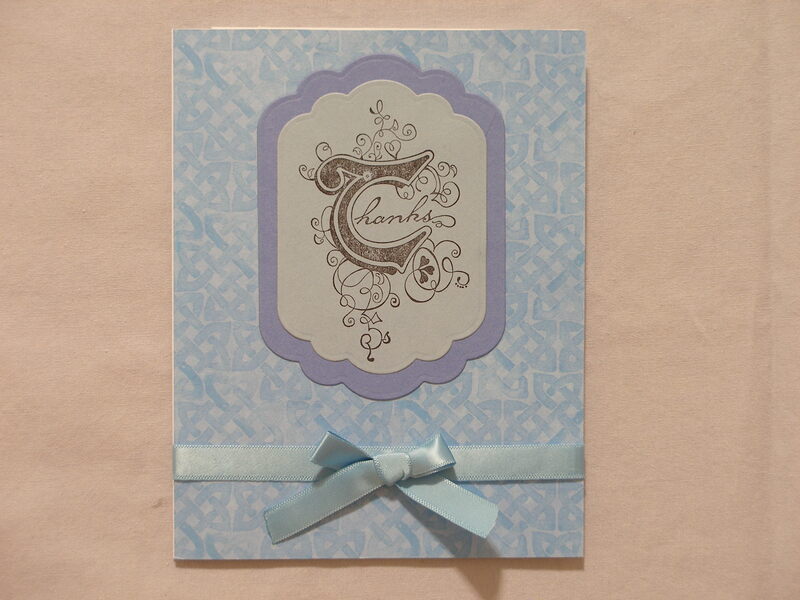 The inside sentiment is from CardMaker’s The Perfect Sentiments.